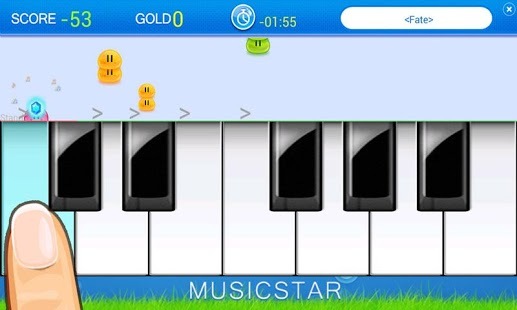 Music Star is best piano rhythm game on Android Market! Get ready to feel the rhythm as you click your mobile screen now! Very challenging game to practice your music rhythm and reaction speed! New music is added to the app regularly, so check back often! Join this world music contest!!! - Global PK Mode & Ranking system. - Favorite songs you liked. 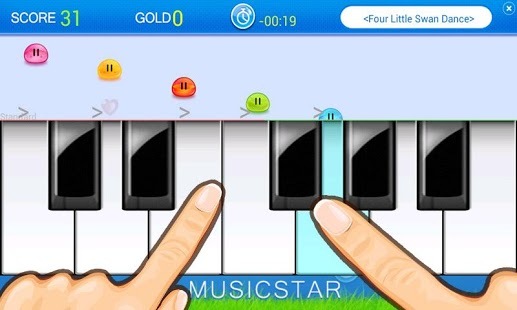 - Earn golden coins buy locked songs. 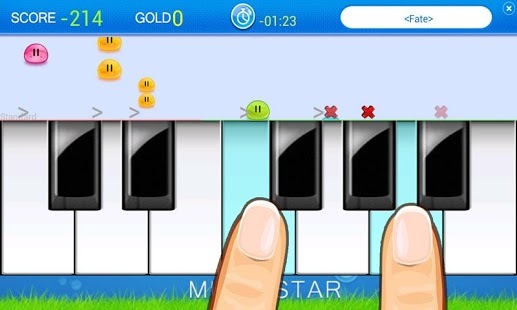 - Enjoy the best song catalog of any piano app. - Beautiful lighting effects and animations.